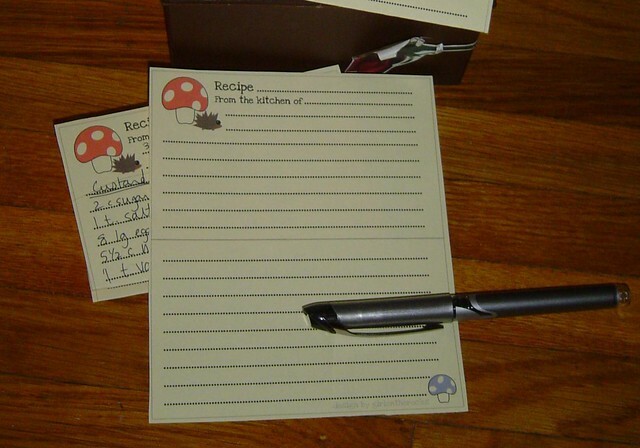 Recipe cards | Flickr - Photo Sharing! I wanted a cute recipe card for a recipe swap I was in, so I made these and thought I'd share. The cards are 3 x 5 inches and feature cute little mushrooms and hedgehogs.